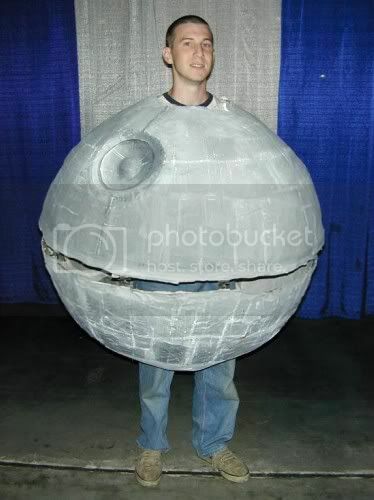 Don’t ask me where I first found this pic of a dude in a Death Star costume. I just rediscovered it in my computer archives along with a photo of me with a feathered haircut and scanned copy of a ticket to a Right Said Fred concert. Yeah. It’s old. But it’s awesome. And here comes your obligatory punchline for this post. Please to be enjoying. Find vintage Star Wars toys on Ebay! I smell a new “Geek Caption Contest” segment on GWS. Nathan, sometimes… just sometimes… I like the way you think.